While relationships can be the greatest blessings in our lives, they can also be the source of our greatest pain. Throughout life, men navigate relationships of all kinds—with their fathers, with women, with children, with friends, and with God. 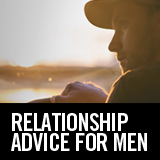 Each has its own set of joys and challenges, and this four-part small group series will evoke meaningful discussion and self-reflection for men who want to take all of their relationships to a deeper level. Find promotional material and audio/video content below.